If you still have unused Toys ”R” Us or Babies “R” Us gift cards, you can use them at your local Bed, Bath & Beyond Store, but only until Thursday, April 5th at 11:59 pm ET. 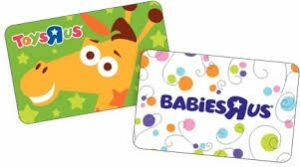 Toys “R” Us will be honoring gift cards through April 21. Another important detail to point out is the credit is worth less than the amount of the gift card at Bed, Bath & Beyond, and the exchange rate depends on the store. For Toys “R” Us, for example, a $100 gift card is currently worth $64.20 in store credit at Bed, Bath & Beyond. With Toys “R” Us closing, the retailer warns that prices will vary. 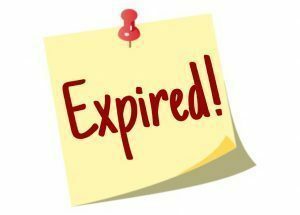 In order for your gift card to be accepted by Bed, Bath & Beyond, it must be worth at least $20 and it must not have an expiration date. To claim the offer, fill out this form and your new gift card will be emailed to you. UPDATE: Toys “R” Us has decided to delay the massive liquidation sales until Friday. I just wanted to give you all a heads up that the Toys “R” Us liquidation sales start today Friday (hopefully). This will be a great time to stock up on future gifts! It’s important to note that you only have until April 20th to use any Toys “R” Us gift cards. 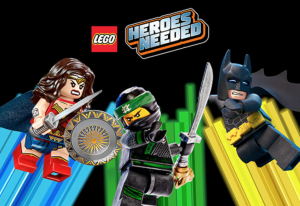 On February 10th from 12-2PM, Toys R Us will be hosting a Free LEGO Heroes Event for kiddos ages 6 and up! Kids will be able to build their own Heroes Needed LEGO creations. There will also be a fun hero mask giveaway! Toys R Us and Babies R Us are currently offering a extra 20% off clearance toys coupon! 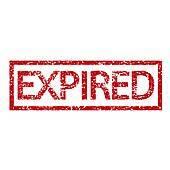 This coupon is valid through January 11th, 2014. This coupon can be presented on your phone if you wish to save ink. Some exclusions apply, so be sure to read the fine print. WOOHOO!! 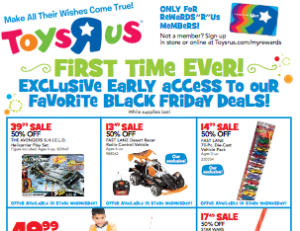 Toys R Us Rewards members can get early access to select Black Friday deals (in-store only). You can become a member for free in-store or online so you can take advantage of these deals. 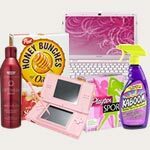 Click here to browse their full ad of deals available today only (11/27)!